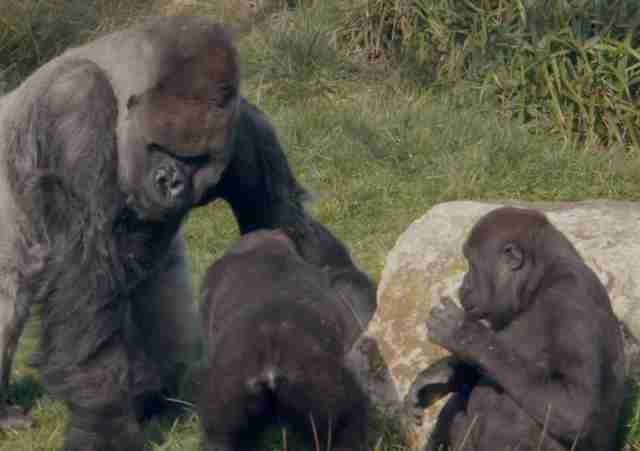 Everyone loved Harry, a western lowland gorilla described as peaceful and gentle, who lived at the Dublin Zoo in Ireland for 20 years, with his longtime mate and mother of his six children, Lena. So when Harry passed away suddenly of unknown causes at the age of 29, hearts shattered - not least of all, Lena's. Lena has been very quiet since the sudden loss, according to reports. 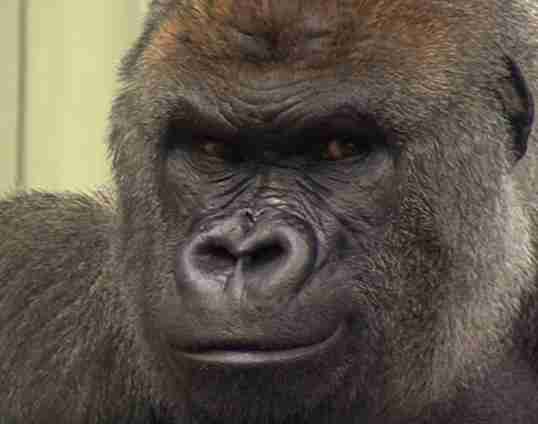 Harry, a silverback, was the leader of the Dublin Zoo gorilla troop, Heidi O'Sullivan, a representative for the zoo, told The Dodo. Harry was born in captivity at the Frankfurt Zoo in 1986. He moved to the Dublin Zoo in the fall of 1995, where he met Lena, who would become his companion for the next two decades. During his time in Dublin, Harry fathered two girls and four boys. "We are deeply saddened to announce that, after a brief illness, Harry, the western lowland gorilla, died on the morning of May 29 in the Dublin Zoo," O'Sullivan said. 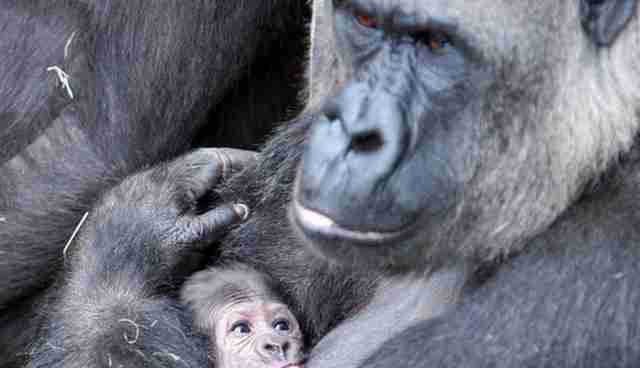 "Everyone is devastated to lose this much-loved gorilla." 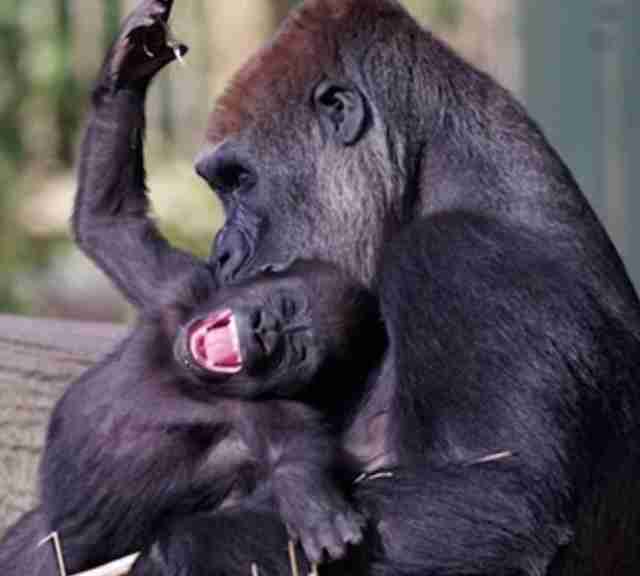 Gorillas can normally live into their 40s. Western lowland gorillas, who normally live in the tropical forests of Africa, are a critically endangered species, because of habitat destruction and poaching. So the loss of Harry is a loss to his family, as well as to his species. It's expected that in Harry's absence, Lena may very well step up to become the leader of the troop. The zoo is waiting for the final results of a necropsy to determine the exact reason for Harry's sudden passing. "He never wanted to show off his strength," one zookeeper said, remembering Harry. "He was a relaxed, quiet, peaceful animal, and led his family with dignity ... If more humans had his humility and dignity, the world would be a better place. I really mean that." "It was like nothing I've ever felt in my life," another said, about the day Harry died.